Dugdale became radicalised in 1970s and joined IRA, carrying out botched bombing and Russborough House art heist. ROSE DUGDALE, AN English millionaire’s daughter who took part in an IRA helicopter bombing attempt and an infamous art theft at Russborough House in Co Wicklow, is to give a rare interview on her life this week. She will speak to John Murray on his RTÉ Radio 1 show this morning (from 9am) to highlight a six-part series on IRA women being screened on TG4. Her story is featured in the first of these, called Mná an IRA, on TG4 at 10.30pm tonight. The series – from Loopline Films – also features Josephine Hayden, Pamela Kane, Martina Anderson, Roseleen Walsh and Rosie McCorley. The programmes will focus on the women’s personal stories and what drove them to taking “direct and violent action” with the IRA. They will also examine the impact the women’s actions had on both the Troubles and on politics in the Republic of Ireland. Rose Dugdale grew up in an affluent household in England where her father was an underwriter at Lloyd’s of London. She became interested in civil rights and politics during her time at Oxford University and later in the civil rights movement in Northern Ireland. 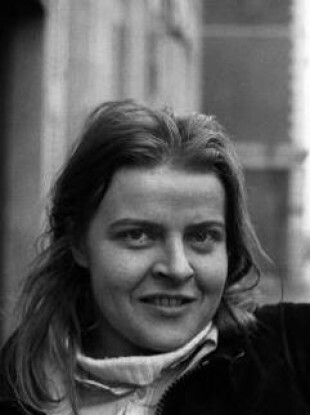 After she received a suspended sentence for burglary at her parents’ home in 1973, with a former boyfriend, she criticised the privilege of her background and family and travelled to Ireland where she joined the IRA. In 1974, Dugdale took part in a botched bombing attempt on Strabane RUC station where she and and IRA team dropped bombs from a helicopter. She was also involved in the robbery of a collection of Old Masters paintings from the Beit family at Russborough House in Co Wicklow. The IRA had intended to exchange the paintings for the release of two female IRA prisoners in England but the paintings were recovered and Dugdale jailed. There can come a time when you may or may not want to kill people. Essentially it was military action which had a chance to succeed and in my mind there was no doubt about that. Dugdale gave birth to a son in jail and in another high-profile case of the 1970s, her boyfriend, fellow IRA member Eddie Gallagher, kidnapped the businessman Tiede Herrema in Limerick to demand her release. A two-week siege ensued and Gallagher and a co-kidnapper were jailed. He and Dugdale married in Limerick Jail in 1978 where they were both prisoners. Dugdale was released two years later. While Dugdale has largely disappeared from the limelight, she was described in An Phoblacht in 2007 as “one of the (Sinn Féin) party’s most stalwart activists” and her opposition to the contract agreed with Shell Oil for offshore drilling here was recorded. Dugdale now lives in Dublin and works in adult education. Email “English heiress turned IRA bomber Rose Dugdale gives rare interview”. Feedback on “English heiress turned IRA bomber Rose Dugdale gives rare interview”.